Canada has long been described as a country that spans “from coast to coast”, with little acknowledgement of the Arctic, which makes up its longest and northernmost shoreline. As of this week it will be harder for Canadians to ignore the splendour of the country’s North. After four years of work, the country’s first permanent road to the Arctic Ocean was officially opened at 6 a.m. on Wednesday, making it possible to drive up from British Columbia’s Pacific Coast to the western gap of the Northwest Passage year-round. 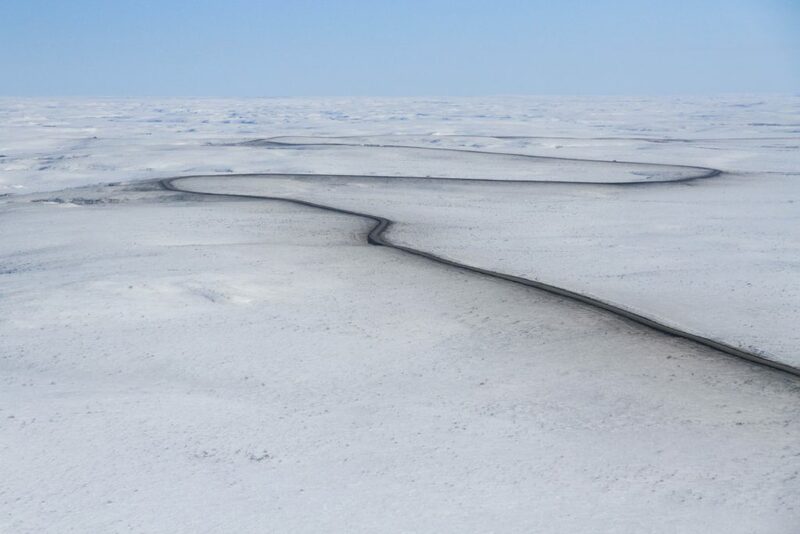 The new 138 kilometre highway stretches from Inuvik, which has long been accessible via the Dempster Highway, to Tuktoyaktuk, a remote Inuvialuit community of about 800 residents nestled on the shore of Kugmalit Bay, just east of where Mackenzie River meets the Arctic Ocean. Up until now the town, called Tuk by locals, has been seasonally accessible by ice road during the winter and by boat or plane for the rest of the year. During the celebrations held in Tuk in April 2017 to mark the end of the last ice road season for the community, there was a certain “end of an era” feeling in the air. Residents spoke about the hardships of living isolated from the rest of the world and the dangers of driving and maintaining the ice road. Yet many people acknowledged the fact that for nearly 50 years the ice road was an integral part of living in Tuktoyaktuk. Nostalgia aside, local residents are hoping the road will lower the cost of living by allowing a more cost efficient delivery of goods to the community. In the past when the ice road was out, prices of perishable foods in the community stores skyrocketed because produce had to be flown in by plane. Now the road will allow for the delivery of food and other goods overground year-round. 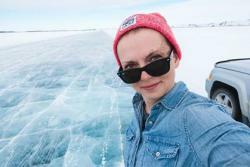 Local tour operators also expect the road to help boost the rising popularity of Arctic adventure tourism. When work on the Inuvik-Tuktoyaktuk Highway began under Stephen Harper’s Consevative government, it was envisioned as a “road to resources”- the missing link between southern Canada and oil and gas deposits in the Mackenzie Delta and off the Arctic Coast. That vision was crushed by last year’s joint drilling ban with U.S. that placed a moratorium on any new oil and gas licensing in Arctic waters. The ban sparked mixed reactions in the North, partly because many Northwest Territories residents saw an economic opportunity being taken away from them without any consultation with communities directly affected by the ban. Despite the moratorium, there are gas fields along the Inuvik-Tuktoyaktuk highway that could contribute to building region’s energy sustainability. The Inuvialuit Regional Corporation, an organization representing collective interests of Inuvialuit people across the Beaufort Delta region, is investigating the possibility of developing gas fields that have been known for a long time, but with the new road it is believe the deposits could potentially become more accessible and economically viable to explore. Despite sitting on top of oil and gas reserves, all Beaufort Delta communities currently depend on fuel delivered from southern Canada. Developing a local LNG (liquefied natural gas) production and supply chain could potentially lower the cost of living in the communities. As LNG is It would also reduce the environmental footprint by cutting out diesel as an energy source, and shipping the fuel from a local plant instead of trucking it in from thousands of kilometres away. It is hard to predict the long term impact the new road will have on the delicate ecosystem of the tundra. Some local residents are concerned it will negatively affect the surrounding hunting and fishing grounds, and threaten the traditional lifestyle that is still strong in Tuktoyaktuk, where many residents depend on hunting, trapping, fishing, and whaling as sources of food and vital parts of local economy. With the new road may also come social problems like drugs and alcohol that the community isn’t equipped to deal with. Yet, it is hard not to appreciate the enthusiasm of Tuk’s residents when they speak about new jobs, new opportunities, and the ability to travel freely at any time of the year. With the ice road season getting shorter, and ice conditions becoming more unpredictable due to climate change, Northerners cannot depend on ice road transportation any more. The Arctic is warming up at the rate that’s almost double the global average. That puts northern communities on the front line of climate change, and its residents have to deal with plethora of symptoms: thawing permafrost, shore erosion, unsafe and unpredictable ice conditions, rising ocean levels, and unprecedented changes in local fauna and flora. In the best case scenario the Inuvik-Tuktoyaktuk Highway will become a road to sustainability that will allow the people of the Beaufort Delta region tackle challenges imposed on them by the climate change and a western economy.